Byron Bay Side Central Studio Apartments offers exceptional value to its guest. In addition to our many special offers, we have always provided a number of complimentary services and amenities. Our warm and welcoming staff are more than happy to help with all your enquires. Whether you enjoy a chat or just want to find the best coffee shop in town. We have created our own personal dinning out guide and 50 Must Do’s in Byron Bay for our guests. Guest stay with us again and again due to our central location, room appointments, our cheerful staff, local knowledge and our desire to ensure everyone has a satisfying stay. Designed for living not just sleeping. All studio Apartments feature Reverse Cycle Air-conditioning, built in Wardrobes that boast plenty of storage and hanging space. Lounge and dining suites, LCD digital flat screen televisions, bedside reading lamps, a clock radio and luggage racks are standard. All studio Apartments feature a fully equipped kitchenette with a oven, stove top, microwave, tea and coffee making facilities. Being able to use your own kitchen facilities in your serviced apartments while on holiday’s means being able to save money especially with Aldi and Woolworths just around the corner. You will find all the essential kitchen items to make use of the cooking facilities as well as glassware and flatware to enjoy your favourite bottle of wine or home cooked meal. Forget expensive hotel dry cleaning services, our apartments all have a washing machine, clothes dryer, iron and ironing board. This allows for low cost washing options. Byron Bay Side Central now offers Unlimited Free Wi-Fi internet to all our guests. Whether you need to check your Facebook or Twitter, connect to your corporate network, check emails, or simply check the weather forecast, you can now do it without worrying about the cost. Every Apartment is provided with one complimentary car parking space. Due to our central location guests with cars can park their car in the undercover car park for the duration of their stay and enjoy a nice walking holiday in Beautiful Byron Bay. Tracey Foster opened Be. Salon & Spa responding to what she felt was a need in Byron Bay; a friendly and wholistic boutique salon. One where people could experience high quality and professional treatments in a down-to-earth, nurturing, and healing environment. Tracey has attracted therapists to the salon who both love what they do and are renowned for quality service. With each having their own unique talents to offer, there is something special in store for anyone who walks through the doors. All treatments have been designed to be totally hands on healing. From the precise yet nurturing massage, relaxing yet therapeutic facials, to the exceptional rejuvenation of your feet. All treatments are tailored to the needs of each individual. Be. 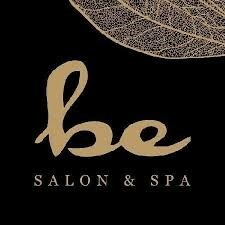 Is a place to unwind, be yourself, be pampered and leave feeling energised and renewed. Each team member specialize in a wide range of hair and makeup skills from gents barber techniques, colour experts to wedding and editorial work, using the highest quality products such as: Kevin Murphy, LÓreal, Mac, Bobby Brown, Ghd. 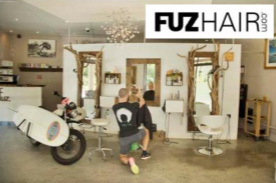 We bring our Byron Beach lifestyle vibe to our Salon to create a space to unwind. We’re open seven days a week and are flexible with opening hours to suit life style needs. 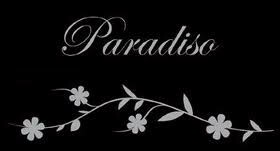 Located in the heart of beautiful Byron Bay we offer a full range of beauty treatments. Our highly experienced staff and with the use of only the highest quality products you too will leave feeling refreshed and rejuvenated every time. Our services include: Waxing , Spray tan, Nails Electrolysis, Massage, Spa body therapy, skin care, Make up, Eye lash extensions, Tinting. Our In-House nurse and friendly staff are happy to answer and advise on all concerns prior to your treatment to each individual. Specialises in compounding (mixing making) products. Bio-identical hormone replacement, skin fading and refining treatments. Plumped is a skin range like no other, specially formulated by pharmacist Michelle Loschiavo to suit the complexions of women, men and teens. The products have high potency vitamin and peptide active in serum or cream bases, that hydrate like crazy and help keep pimples away. Welcome to Bodibeauticious where the focus is providing you with the latest cosmetic treatments in order to give solutions you desire. Our highly skilled therapists and paramedic ally trained therapists offer a range of solutions & advice to meet your needs. Manicure & Pedicures, Waxing, IPL Hair removal, Skin rejuvenation, Micro-Hydrabrasion, Oxygen Facials, Spray tanning, Eyelash perm, Intense light therapy, Lash extensions, Bridal makeup , Eyebrow shaping and tinting. Call us direct for the best prices!! !